Paying ONE BILLION DOLLARS For A Photo Sharing Site Is No Joke... But Here's How YOU Can Laugh All The Way To The Bank! Dear fellow internet marketer... Remember when YouTube was bought by Google? This time the visionary is the mega-traffic social site, FaceBook, who recently paid ONE BILLION dollars - cash - for photo sharing site, Instagram. And if history teaches us anything it's this: a business paying out these sorts of eye-watering sums isn't goofing around, because they haven't got much of a sense of humor - not where money is concerned! So if we want to make serious money on line, we need to jump on the Instagram bandwagon - just as the folks who jumped on the YouTube bandwagon early enough benefited big. And, if that hasn't convinced you Instagram is for real, then allow me to tell you that world class brands as diverse as Starbucks, car maker Audi, Sharpie, and Victoria's Secrets have entire departments devoted to sourcing, creating and putting a constant stream of tantalizing images on Instagram, promoting their products like gangbusters. And, like FaceBook and every other top flight business they wouldn't be spending big bucks if it wasn't bringing home the bacon in the form of new, profitable business. Because it's one thing to know the planet's best brands are already profiting big time from hiring expensive skilled photographers and technicians, all dedicated to Instagram marketing. But - when you're running a relatively small internet business - you simply can't afford to tap into that high end level of expertise. So how are you ever going to know what you need to do to compete - let alone how to do it? Once these secrets are your secrets you'll be overjoyed at how easy it all falls into place! 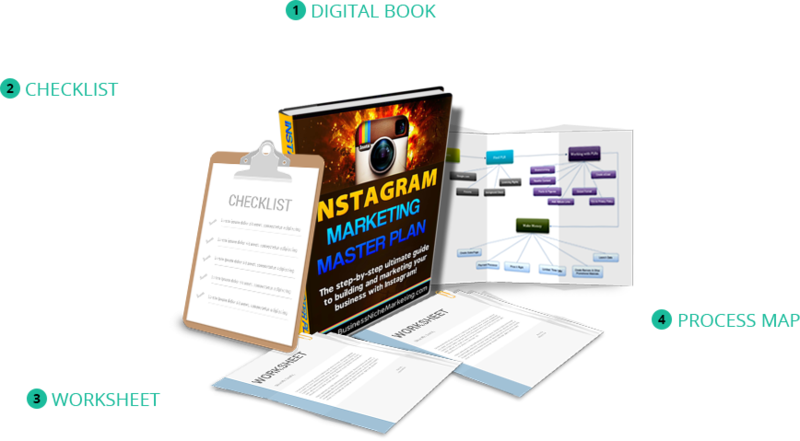 Instagram Marketing Master Plan is a complete step by simple step blueprint that will take you by the hand and show you exactly how you can model the success of world class companies, like Starbucks, Audi and Victoria's Secrets, to create your very own Instagram success story. So you can look forward eagerly to increased traffic, sales and profits. In this comprehensive guide I lift up the hood, revealing every single tip and trick I've discovered through trial and error and presented them in an easy to follow plan which will get you up to speed far faster than you ever dared hope, transforming you into an Instagram expert, leaving your competitors choking in your dust! You're only just starting in internet marketing, but already understand how vital generating targeted traffic is to your whole game plan and want to be certain you are following the very best cutting edge advice. ...whichever one of these you are, you're certain to be delighted when you see all the utterly effective insider tips I have for you in this brand new program. How the explosion in mobile internet viewing devices opens up even wider horizons for marketing with images. How - now FaceBook owns Instagram - it is poised to scale even greater heights (all of which is good news for us internet marketers). If you doubt that marketing with Instagram can supercharge your marketing , then this introduction will quickly convince you. In fact, you'll probably be amazed that in just two years Instagram has skyrocketed from inception to enjoying one million downloads on a single day in April, followed by a $1billion cash payday, when FaceBook bought it. The intuitive photo manipulation software that makes Instagram so unique and addictive. How Instagram is a perfect fit for the exploding mobile market (which explains why it already has over 7 million daily users - and growing). How Instagram has breathed new life into that old saying: 'A picture is worth a thousand words'. The simplicity - and stunning effectiveness of Instagram - giving it powerful universal appeal. An actual example of the amazing difference Instagram's unique filters make to an ordinary smart phone image. The sort of hot, trending topics you can tap into with Instagram - because few things are more compelling than 'News'. Ten red hot niches that are perfect for Instagram marketing (just a tiny taster of the awesome potential at your fingertips!). How Instagram is a no-brainer way to create a community and following - and how you could be the one setting the trend. How to put passion into your images (and sell boatloads of product). This module will show you, step by step how to get set up with Instagram - even if you want to use it with a PC. The three places where you can download the Instagram smart phone app (and so be good to go in minutes!). Crafty ways to use Instagram on your PC - but keep this to yourself! How to expand your photo-sharing and reviewing capabilities well beyond the norm (all you need are one or more of these web sites). How to use hashtags to get likes and followers - and start to power up your marketing presence, as well. This is where the rubber hits the road and we get right down to business. How the universal use of smartphones actually makes it easier to use images to market by stealth (making selling your product a piece of cake). Three inspiring examples of hot Instagram marketing - ready made blueprints to model for your own rip-roaring Instagram success. How to light a fire under your prospects with pictures (easier than you might think - once you know how). How to create a mega-buzz with image contests (and the important twin conditions you need to add to your contest conditions). How to successfully project your image and your brand - and how adding a simple hashtag will make it go viral!. This module goes right to the red-hot core of all successful marketing - finding out what folks want and giving it to them. How to galvanize your existing fan base (and how to get them to recruit more fans for you - for free!). Discover how these four top companies have honed their Instagram skills to a fine edge - and how you can 'steal' their ideas to boost your own success. The key to getting your fans to drive a torrent of traffic to your web site or blog (it can be summed up in a single word). The three vital components of a successful social advertising campaign - and the good news is: they are really simple to follow! The sheer magic of involving your community (and the simple trick to keeping them involved and engaged). The world's easiest way to find out what your fans want - is so obvious, really. They say, 'Laugh and the world laughs with you' - and here's how to use the concept to generate more free traffic. The rules of Instagram business success (and the added benefit built into every hashtag). Integrating FaceBook with Instagram - and why it might be harder for Android users. How to model the success of the 54% of top brands that already use Instagram marketing (all it takes are three elements). The essential part of the mix - which, once you know what it is, will zoom you straight to Instagram gold! The surefire way to welcome new followers (and turn them into raving fans). The clever way to inspire your community - by showing them what others are doing. The simple secret of pre-testing your images (this is working smart - not hard). The little known internet site 'clearing house' with two million members - making a snap to network successfully. This module looks at the best techniques to monetarize your Instagram presence with some really clever tips and tricks. Sharing your photos with Instagram's affiliates (what you need to know). The two other 'Instagram style' web sites - and why you need them to maximize your reach. The program concludes by pointing to the undoubted success of big businesses, as diverse as Starbucks, Sharpie, Audi and Victoria's Secrets, as proof that it's possible to successfully use Instagram to market the widest possible range of products. 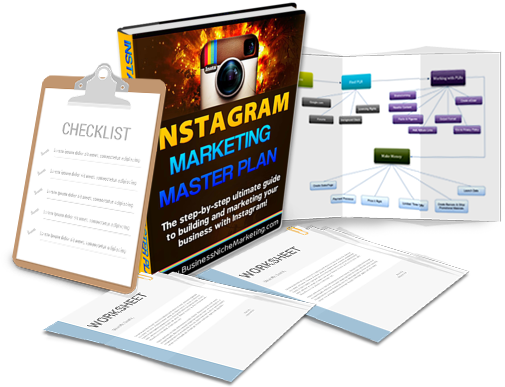 Instagram Marketing Master Plan reveals a fully comprehensive blueprint that will empower you to take on the very best Instagram competition and win. Yet, so simple is it to use even your 90 year old grandmother - or a five year old child - would be able to shower their business with Instagram stardust, just by following the crystal clear paint by numbers instructions. The key to Instagram success is posting new images on a regular basis - just as Starbucks and the like do. That way, your fans never drift away, because they can rely on you for constant fresh content. 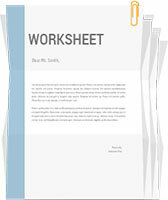 And this worksheet makes that a snap! I created thisworksheet to fit synergistically with the Instagram Marketing Master Plan program. And that's the reason you'll find it a delight to use. It makes the entire business of keeping track of your posted images, your upcoming images and ideas for new images so simple. Just check off each one as you finish it. This will quickly get you up to speed so you can unleash the amazing profit potential of Instagram as fast as possible. The key to constantly attracting new fans, pre-selling them to make them ready to visit your web site or blog to buy your products lies in creating a virtual image factory, where you have a good supply of good images to keep up a constant stream of new content to keep your community nourished. Trouble is, this frantic activity brings with it problems of logistics.But this checklist makes it a complete snap to be sure you have covered every last aspect. What's more, I've created this checklist right from the get go to fit in precisely with your Instagram Marketing Master Plan program, so keeping track of your image empire will be a walk in the park. That means any tiny doubts you might have harbored about being able to control your Instagram empire will evaporate, as soon as you can view the entire project laid out like a map. I really feel proud of my checklist, because I'm sure it will really help make your road to Instagram riches silky smooth. Attracting attention on Instagram turns on posting interesting and eye-catching images consistently and at predictable intervals. And, once you get established you can even repost other folk's images for some reciprocal feedback. So it's a great feeling to be able to take in all your Instagram activity with a single glance. 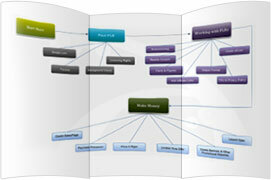 Fortunately, that's brain-dead simple, just as soon as you use my customized process map. You simply print it out and place it where you can easily see it. Then, with one quick glance, and you'll know you have everything covered. 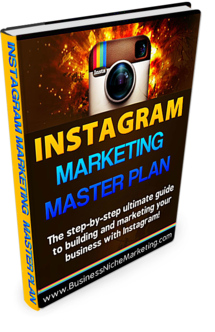 You can have this 66 pages book for free as an exclusive bonus when you buy the Instagram Marketing Master Plan. I'm sure you now really understand the awesome powerhouse Instagram can prove to be in the right hands. ... how will you feel to finally be financially secure? Because, it's pretty certain that if you are serious about mastering Instagram, then you'll be riding the crest of a wave at the very leading edge of some of today's most effective social marketing. And that will mean you'll be able to take what you learn in this program to the bank. So just imagine never again having to worry about paying all those bills. Just pay them as they fall due and then go and enjoy yourself with all the cash left over. Yes, that's the sort of Easy Street you'll be living in, once you have the Keys To The Kingdom Of Instagram Mastery! ... and that means taking away all possible risk from you. So I'm going to give you a 60 day test drive. That way, you'll understand exactly what all the Instagram fuss is about. That means you can visit the sites we recommend and check out all the successful companies already using Instagram to good effect. Then, if you don't agree you too can take full advantage of this cutting edge traffic-sucking method, then I expect you to demand a full refund. It's that simple!. I'm so sure that Instagram Marketing Master Plan will provide you with the results that you're looking for that I'm willing to back it up for a full 60 days. It's laughingly simple: just follow the steps I've set out in this detailed plan. Then relax and enjoy the ride as your traffic, sales and profits really take off! And I guarantee it will be effortless, because you'll be following the very latest and most effective Instagram insider secrets it's possible to obtain. My brand new Instagram master plan makes it so very easy to get started and then rapidly build up your presence, confidence and following at neck-snapping speed, and all the time adding to the growing stream of pre-sold traffic coming to your website from Instagram which will quickly blow the lid off your bank account as your sales skyrocket. I know you're savvy enough to understand the sheer value of the groundbreaking master plan I'm offering you here. And I guess you're getting a little uneasy about the size of your investment, because of the sheer value I'm putting into it. I've crammed this brand new program to overflowing with street-smart insider tips and tricks that you can take to the bank. Right now this program is just being released, making you among the very first lucky folks get the heads up. I want the Keys To The Kingdom Of Instagram Mastery, where I can enjoy an endless torrent of eager, pre-sold traffic visiting my site, ramping up my sales and blowing the lid off my bank account. I'm completely confident that once I have all your secrets and add them to my own determination, hard work and imagination, I will quickly become a well respected member of Instagram and enjoy an electric charge of highly targeted, eager traffic into my website, resulting in increased sales, profits for me and my loved ones. I am so very grateful for this golden opportunity of a clear blueprint that can finally lead to my stepping off that job treadmill I hate so much and finally attain my long held dream of financial freedom. I know with absolute certainty that, once I have mastered your Instagram formula, I will also be able to enjoy life-changing increases in my traffic. But be assured I do fully understand that nothing will happen if I don't take decisive action. I love the reassurance your 60 day no questions asked guarantee gives, although I'm confident I won't need to call on that, because I'm committed to acting on every secret in the Instagram Marketing Master Plan guide - so I want this program, right away! All it takes to step up to a brighter, happier life is that you make the right choice today. It's that simple! Then, perhaps there will come a moment - quite soon - maybe when you're browsing vacation websites with your loved ones, enjoying the thrill of choosing between a luxury Caribbean cruise or a vacation in a high end tropical hideaway. You'll pause and reflect on your new found good fortune. And you'll think back to your decision today and say, yes, this was the moment when my future changed for the better. So I'm really looking forward to meeting you on the inside! P.S. : With the reassurance of my 60 day, no quibble refund guarantee, the only possible way you can lose on this is if you decide to do nothing. Then I can guarantee you will miss out on a golden and completely safe opportunity. "Boy! I never realised the potential with Instagram. But if top brands like Starbucks are investing money using it to build their brand, then I definitely have to be in this too." And each one that orders this exciting program moves it inexorably to the point when the price will shoot up to double or beyond. So why risk that? Instead click that button and enter the wonderful world of Instagram whilst it's hot on your mind.